Grand Central Publishing, 9780446534987, 336pp. At first, Jasmin's mother, Lili, refused to speak about the photograph, and Jasmin returned to her own home frustrated and confused. But a few months later, she received from her mother the first of ten cassette tapes that would bring to light the wrenching hidden story of her family's true origins in Iran: Lili's marriage at thirteen, her troubled history of abuse and neglect, and a daughter she was forced to abandon in order to escape that life. 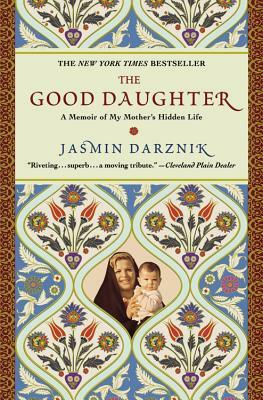 The final tape revealed that Jasmin's sister, Sara--The Good Daughter--was still living in Iran. Jasmin Darznik was born in Tehran, Iran. A former attorney, she received her PhD in English from Princeton University. Her writing has appeared in the New York Times, Washington Post, Los Angeles Times, San Francisco Chronicle, and other publications. She has taught Iranian literature at the University of Virginia and is a professor of English and creative writing at Washington and Lee University. She lives in Charlottesville, Virginia.